Want to know where you stand in the HotelTechAwards? 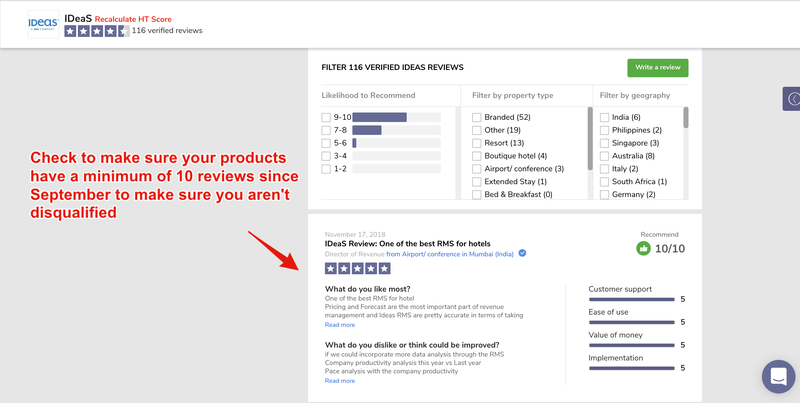 Want step-by-step instructions how to launch an automated review campaign to increase your chances of winning? Bonus: Want to run a holiday giveaway campaign to thank customers and get more reviews? While rankings almost always change in the final weeks of the awards, live rankings at this point are usually a strong indicator of how you are positioned. The minimum eligibility requirement to win a HotelTechAward is 10 reviews during the awards period. Companies without 10 reviews between registration opening (September 1) and voting period closing (December 31) will be disqualified. 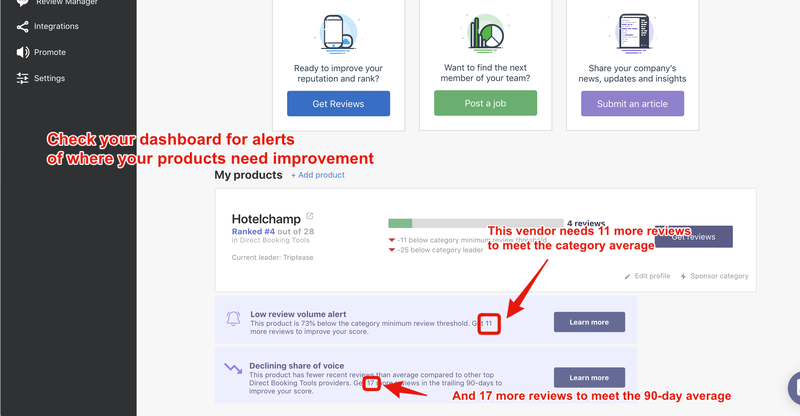 If you have a 'Declining Share of Voice' alert in your vendor dashboard, you need more reviews to qualify for the competition let alone win. 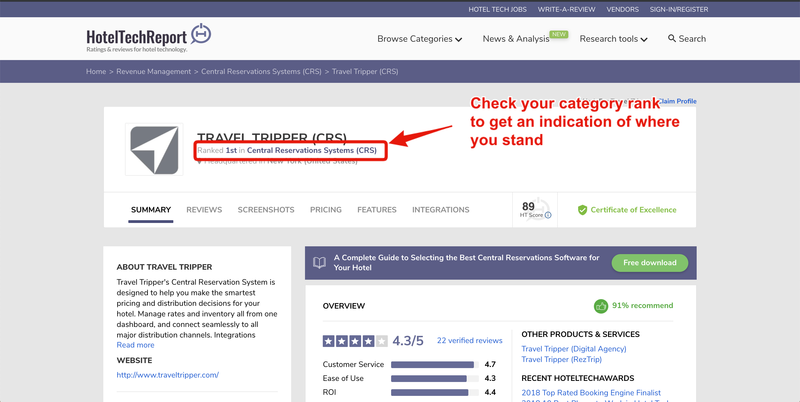 It's likely that you haven't met the review minimum for the competition so please reach out to Hotel Tech Report via live chat immediately to avoid risk of disqualification (no refunds will be issued for disqualification). Write into live chat on the site if you'd like to know how many completions your company has and how many more you need to qualify (survey here, 2018 winners here). To make sure your company qualifies, make sure to send this link to your team internally and have all employees complete the short survey: https://partners.hoteltechreport.com/hotel-tech-company-employee-survey/.